Sideshow World,Freaks,Central, Sideshow Performers from around the world. Ann Sabers takes a drink of milk as her Siamese twin, Janet Mary, awaits her turn. Eileen Weis, nurse, holds the bottle. The babies, joined at the bases of their backs were born July 21 to Mrs. Floyd Sabers, 26 years old who lives on a farm near New Vienna, Iowa. 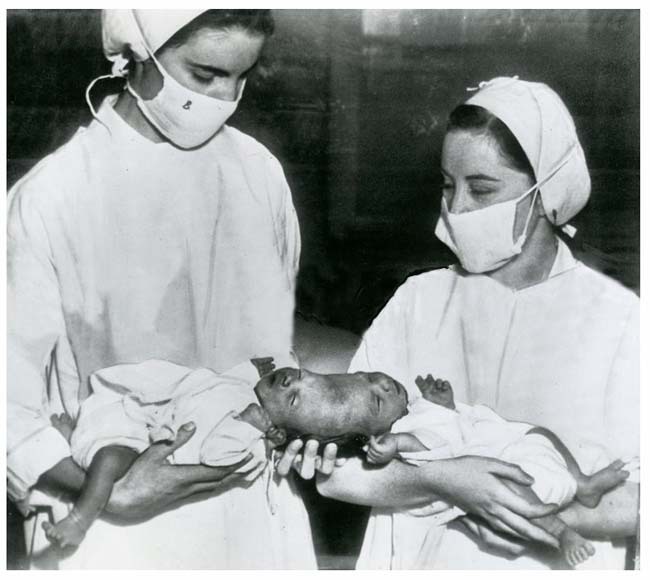 They weighed a total of 9 pounds 10 ounces at birth. Dr. Carl B. Hall said they "have a good chance to live." 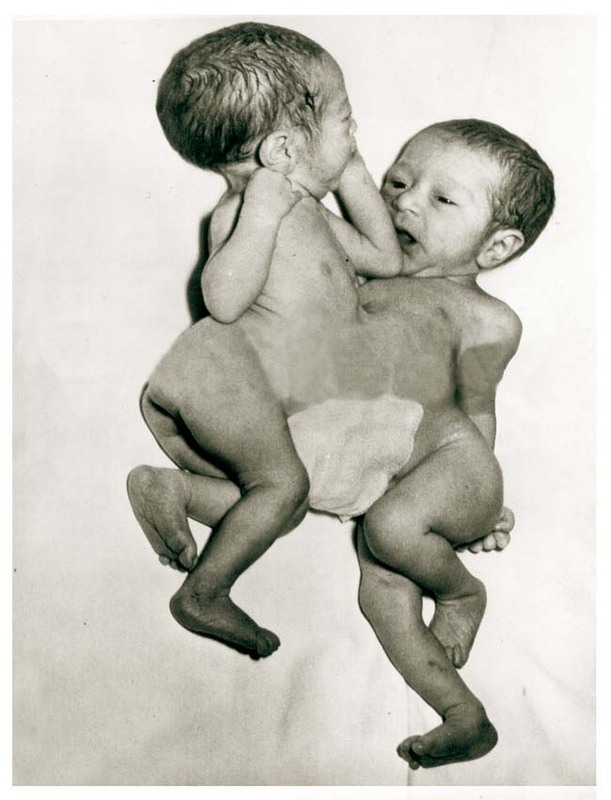 Siamese Twins Girls, joined at the lower abdomen and possessing a single umbilical cord, lie in a hospital here 20 hours after they were born to Mrs. Rita Miranda in her Avondale, Ariz., home. Hospital authorizes, who estimated the weight of the babies at from three to four pounds each gave them an even chance to survive. 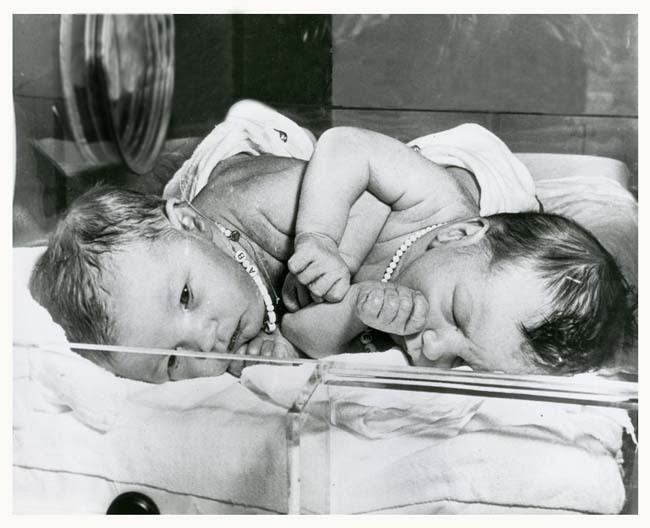 Siamese twin girls, born yesterday to Mrs. Nona Herring, 27, of Detroit are shown in a special incubator at the Nt. Carmel Mercy Hospital. Joined at the abdomen and at first given a 50-50 chance to live, hospital officials now say their condition is "precarious." 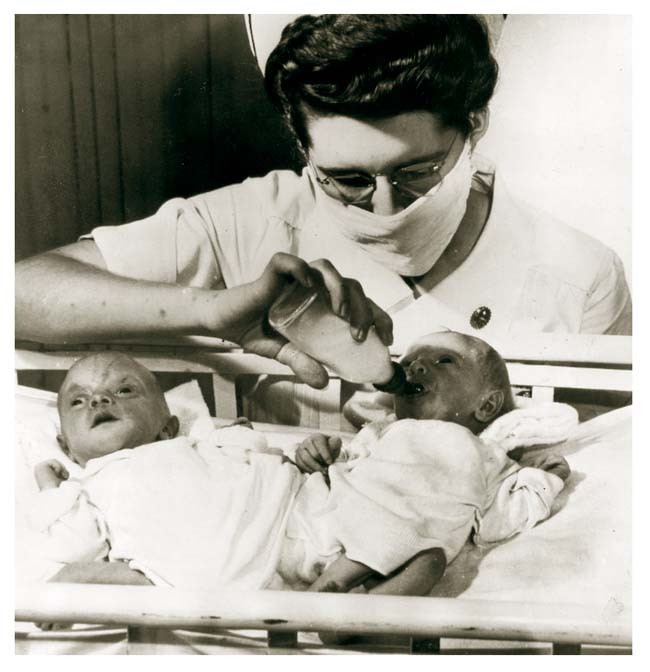 The Brodie Siamese twins, who today are waging a grim battle for life after being separated in an historic marathon of surgery, are held by nurses in a Rock Island, Ill., hospital one day after their birth on Sept. 16, 1951. A team of specialists operated for 12 hours and 30 minutes yesterday in Chicago to part the 15-month-old boys and give them a chance to lead separate lives. The twins are the sons of Mr. and Mrs. Royt Brodie of Moline, Illinois. 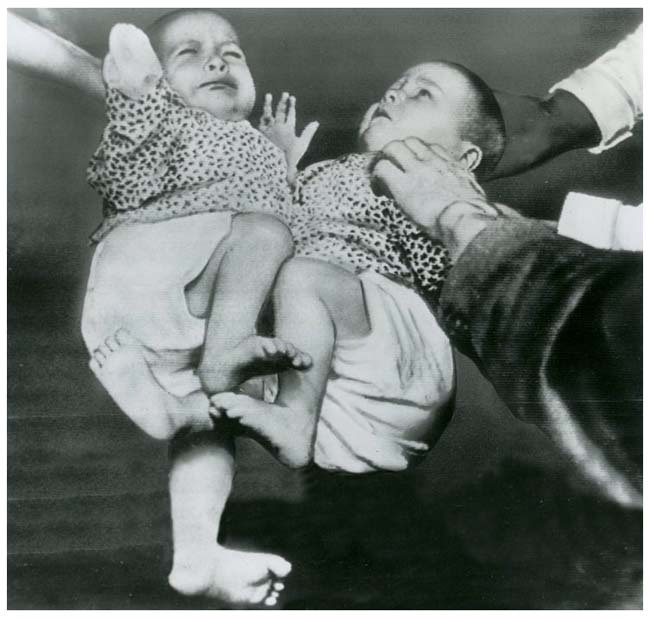 Holland's seven-month-old Siamese twin girls, Folkje, left, and Tjiske deVries, are shown at leeuwarden before they were separated by a delicate operation today. Eighteen hours after the separation they were reported doing well. 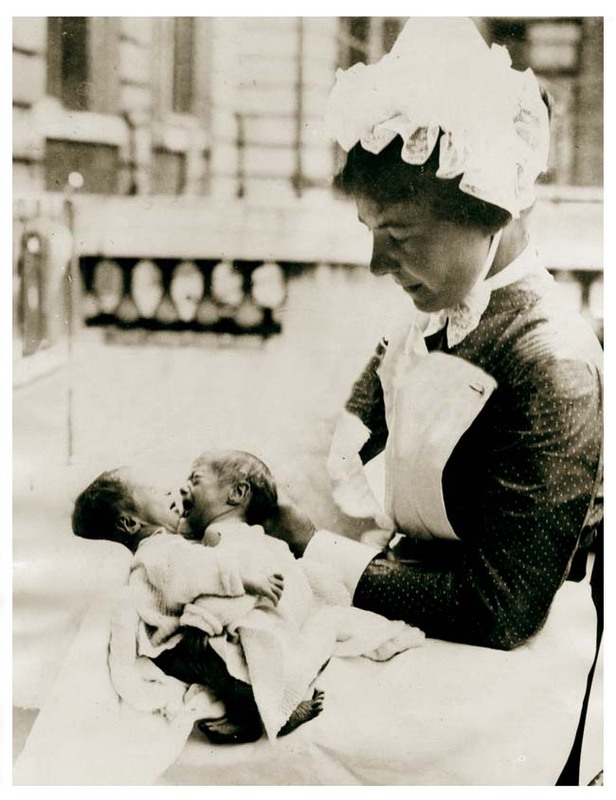 Joined at the abdomen for a distance of 31/2 inches, the twins had separate sets of organs. Caroline Anne, left, and Catherine Anne, former Siamese twin daughters of Mayor and Mrs. J. Ashton Moutan of Lafayette, La., will celebrate their second birthday at a family party today. 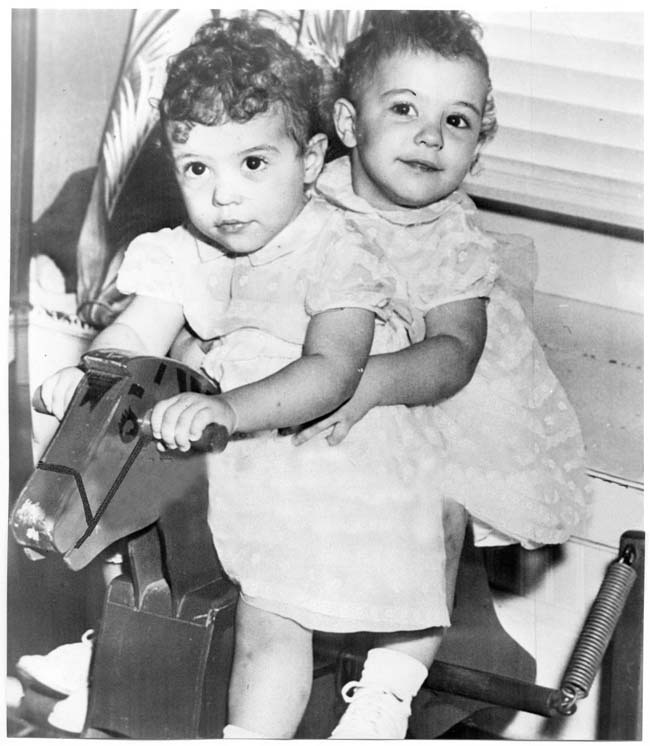 Born joined at the base of their spines July 22, 1953, the girls were separated by surgeons at New Orleans Hospital September 17, 1953. Now only one simple operation on Caroline Anne remains to complete the task of giving them separate lives.